When is the ONLY time a Bride will set her fabulous Dellables Bouquet on the ground? Answer: when she is kissing her new husband while Joe D'Alessandro gets the perfect picture! 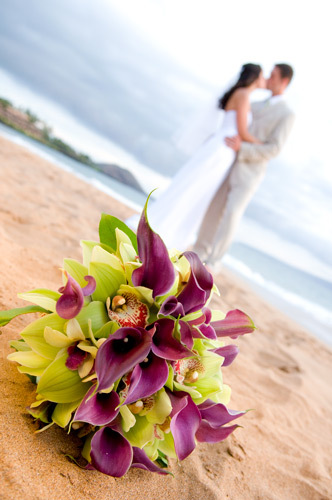 When on Maui, when getting married, when you are ready for the kind of experience you expect on Your Day, then be sure to contact Marry Me Maui and ask for Dellables florals. You too, then, may be in this picture soon!